This is a pragmatic and highly effective OLAP based BI suite with a useful Excel interface and web based tools. Palo is an open source business intelligence suite focused around OLAP, and Excel and web interfaces. The Palo OLAP Server is at the heart of the offering and provides multi-user, high performance access to data. 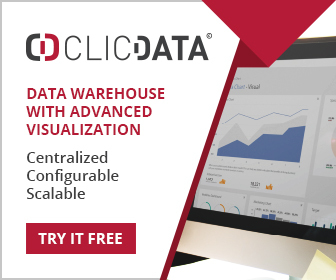 It supports real-time aggregation and is an ideal platform for BI collaboration. Data is loaded into the OLAP server using the Palo ETL Server. This supports most data sources including relational databases, SAP and others. Palo Web provides one of the user interfaces, both for designers and business users. Designers can administrate the system and create web-based reports, while users are able to view reports. Palo for Excel is where business users will spend most of their time, and its central logic store avoids the bottlenecks that are often encountered using Excel for complex tasks. 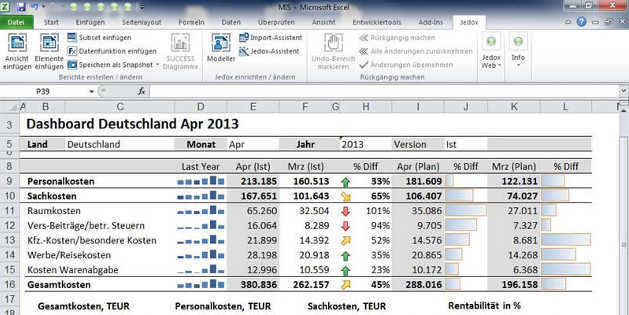 Because Palo is cell based (as opposed to record based) it is ideally suited to the Excel (or OpenOffice) interface. The commercial version of Palo is supplied by Jedox in two versions. Jedox Base (effectively Palo) is free, while the premium edition offers considerably more functionality.